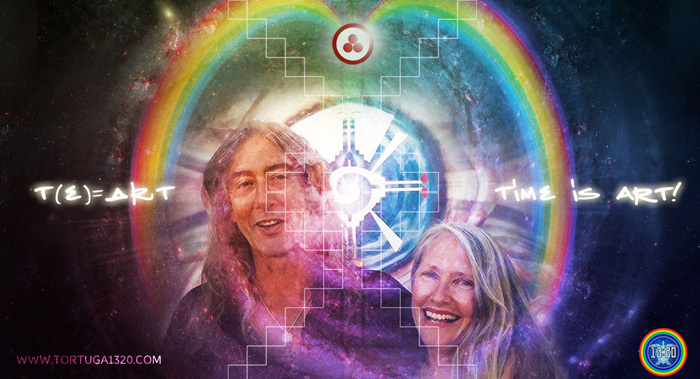 Planet Art History reminds us that this visionary and galactic couple was recognised by the media as the “Founders of the New Age Movement”, and also as the “New Time Messengers”, the “New Time Pilgrims” or, simply, “the Argüelles”. During their time together, they opened the doors to the fourth dimension of time, and they also defined it. On the same way, they anticipated the planetary dimensional shift for the years of 2012-2013. The Argüelles’ spiritual revolution started back in 1987 when they issued the call for the Harmonic Convergence, a historical milestone which set the beginning of the New Age as a social movement. 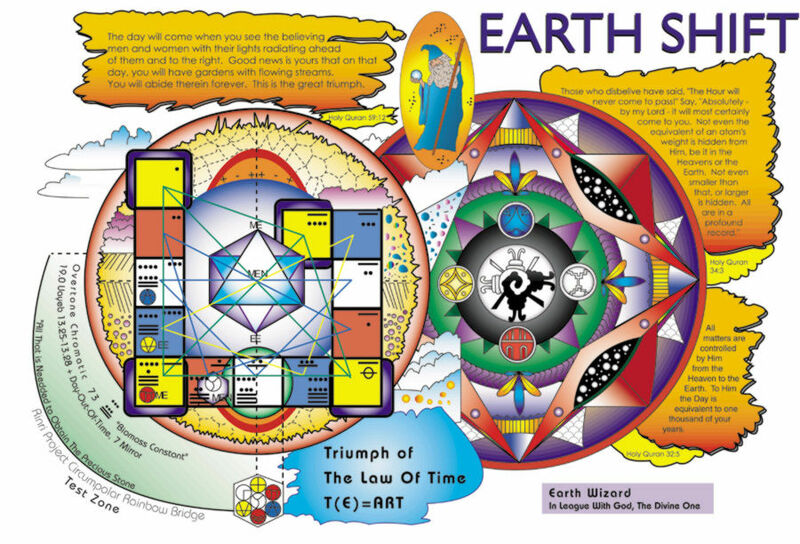 Soon after, it followed their mutual Discovery of the Law of Time (1989-1996), their primary design of the Thirteen Moon Calendar (1990), their publication of Dreamspell: The Journey of Timeship Earth 2013 (1990-1991) and Thirteen Moons in Motion (1992). It all culminated with the Telektonon Prophecy (1993-1995), amongst other works created by them. 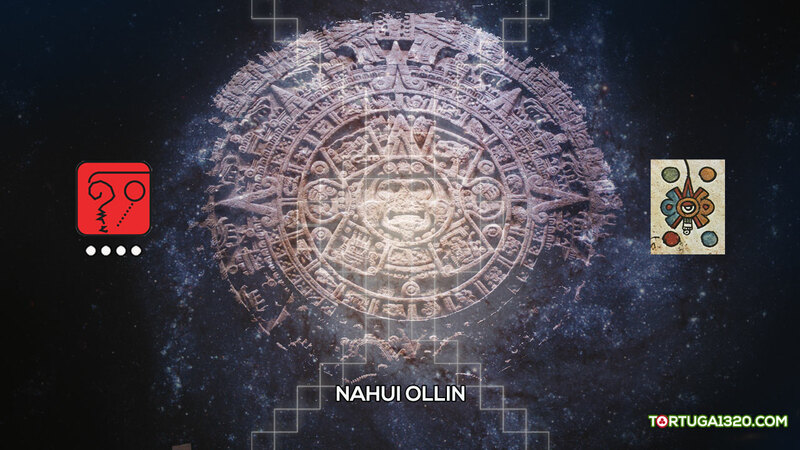 All in all, they set the foundation stones of the Galactic Maya Revelation. They also activated the planet through their revolutionary paradigm of “Time is Art”, a sacred wisdom that they truly embodied, by gifting thousands of copies of the Dreamspell Kit all over the world, and by travelling to different countries, teaching their knowledge totally free of charge. Thirty years after they planted their galactic seeds in 1987, now the Dreamspell initiates can witness the crystallisation of their magnus opus, the Telektonon Prophecy, a revelation which actually emanated from their higher selves. After the dimensional shift of 2012-2013, it has become clearer how this prophecy has been unfolding new layers of a progressive revelation in time. It is possible to observe key points that were inscribed by the same messengers across their perfect timeline of 21 years ministry (1981-2002). With ever more clarity, we can now witness the multidimensional blueprint of Telektonon after 2012-2013, and how it has worked different aspects of a truly unified prophecy. Nevertheless, it will always be a mystery to know if Valum Votan and Bolon Ik were fully conscious about the particular Dreamtime Telektonon realm, or if they acted through the unconscious of their archetypal higher selves. What is clear, however, is that they inscribed their Truth within the Divine Synchronic Order, an undeniable proof of their multidimensional role as the Ascended Masters of the New Time Prophecy. 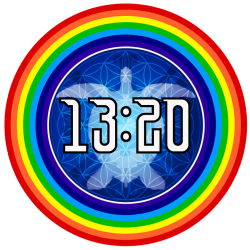 In this new light, the Dreamtime Telektonon is a telepathic message transmitted by Valum Votan and Bolon Ik, the Mother and Father of the New Time. It is an amazing Galactic Maya Hologram of the 2012-2013 dimensional shift phenomenon. As such, this cycle will be closing on the “Day of the Dead” in Mexico (2 November 2017), Kin 163, Resonant Night, which was the same Kin of the “Day Out of Time” in the mythic year of 2013. And, just as it was experienced through the Tzolkin in 2013, this later date is preceding a new Galactic Seed cycle on the 3rd of November 2017, Kin 164. As it will be observed, Kin 164 accurately encodes the Dreamtime Telektonon revelation as Truth. Especially, if we consider that all is happening 4 solar years after the Galactic Seed 2013 and under the current Year of the Crystal Seed 2017. Therefore, it symbolises the “Crystallisation of the Galactic Seed” of the Timeship Earth 2013-2017. It is such a divine event that even the Gregorian dates align with it! The 2nd of November is coded 2/11 or 2.11, while the 3rd of November is coded 3/11 or 3.11. On one side, 2.11 codes Valum Votan (11.11) and also Bolon Ik (11+11). On the other side, 3.11 (3×11=33) codes their combined Kin 33 (11+22) or Master Number 33. Therefore, we can witness how the 4D Synchronic Order is shifting into the multidimensional realm of the Divine Synchronic Order. In order to understand the synchronic masterpiece of the Dreamtime Telektonon, it is necessary for us to re-member the origins of the Telektonon Revelation. 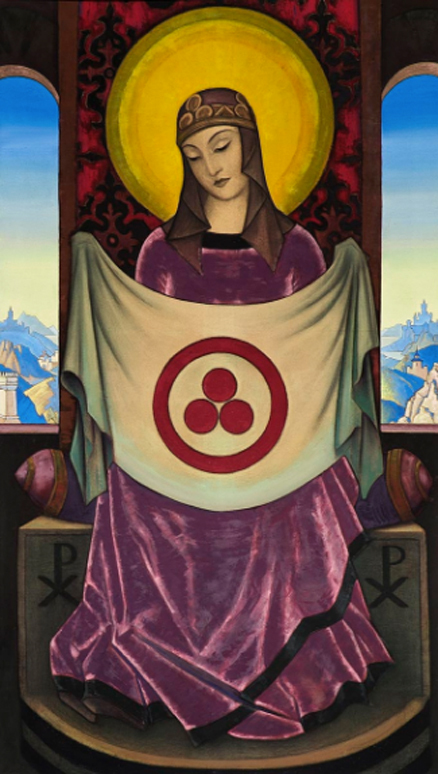 According to Planet Art History, in a talk given in 1995 by José and Lloydine at Sedona (USA), Valum told the story of the Telektonon Prophecy. Early in 1993, the galactic couple had moved to Hawaii, where they spent the “Day Out of Time” (July 26th, 1993). Synchronically, the 13th of January 1994 corresponded to Kin 55, Electric Eagle, the same Kin of the Harmonic Convergence in 1987. Therefore, 9 Galactic Spins after the Harmonic Convergence, Valum started writing the revelation of the Telektonon Prophecy of Pacal Votan. After a nine-day period, the writing was completed on January 22, 1994, Kin 64, Crystal Seed, which is precisely the year bearer at the time of witnessing the Dreamtime Telektonon revelation. We also know that the book, Telektonon Prophecy of Pacal Votan, was published in 1994. And that, during the same year, Valum and Bolon Ik started designing the Telektonon Game of Prophecy, which was released in 1995. Therefore, the foundation stones of the Galactic Maya prophecy were laid by José and Lloydine Argüelles. A process of revelation which started with their Discovery of the Law of Time (1989-1996) and continued with their works of Dreamspell, Thirteen Moons and the Telektonon Prophecy. One revelation consequently led to the next one, which brings crystal clarity to the evolution of the unfolding prophecy and the arrival of the Telektonon Revelation. Basically, the original Telektonon’s purpose was to inject the harmonic frequency of true time through the Thirteen Moon Calendar, in order to unleash the technology of telepathy. 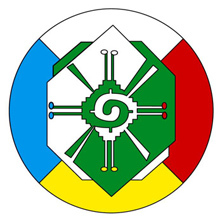 With this purpose, each unit of the outer board of Telektonon represents one day of the 28-day cycle of the Thirteen Moon Calendar. 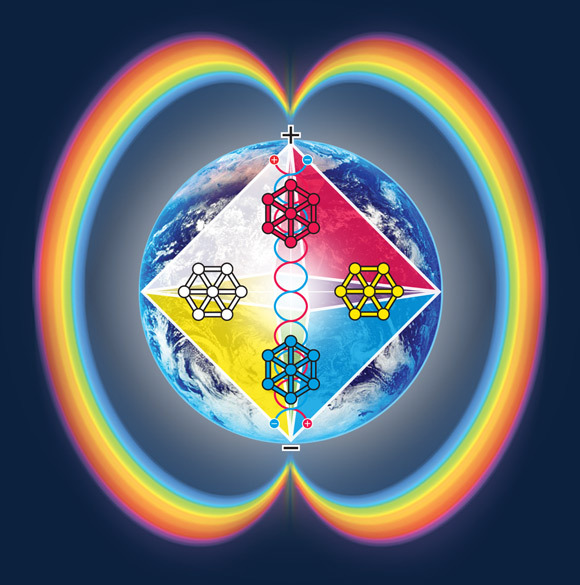 The central part of the cycle corresponds to the journey of the Rainbow Warrior, a 16-day cycle within the Cube of the Law (4×4 Warrior Cube). The mission is to defeat false time, which is the distorted frequency transmitted by corrupted Babylon. Within the game, Pacal and Valum are the Votan Twins, so they represent the Rainbow Warriors. On the other side, Bolon Ik personifies the Goddess and the Muse of the Prophecy, the one who guides the Warrior Journey by singing the Song of the Creation. Once the Warrior has defeated Babylon, she raises the Warrior from the Cube of the Law. Then, the Votan Twins (Pacal and Valum) reunite with Goddess Bolon Ik to celebrate the Second Creation of Earth. It was, indeed, just the beginning of an unfolding Galactic Maya Revelation in Time! Another revelation of the Telektonon’s blueprint came in 1997 when Valum Votan and Bolon Ik issued the Warrior countdown to 2012-2013. They established that each unit of the Warrior Cube of the Law was equivalent to one solar year (instead of one day). In this light, there were 16 solar years countdown between 1997 and 2012-2013. The victory of the Warrior would sync with Galactic Synchronisation 2013. Thus, the arrival of the Second Creation of Earth would synch with the Lovers’ Reunion within Telektonon Prophecy. Each Unit = 1 Solar Year. In 2002, Valum Votan and Bolon Ik separated in the third dimension. According to the Telektonon Warrior Path, the Dreamspell solar years between 2001-2002 corresponded to the journey of the Warrior through Unit 5 and Unit 6 of the 16 Unit Warrior Cube (Unit 11 and Unit 12 of the 28 Total Units). Unit 5 of the Warrior Cube is represented by the Serpent Solar Seal and it is about defeating the distorted sexual energy from Babylon, one that the warrior needs to turn into light. Precisely, the Rinri precept number 5 to help to restore that frequency is “The Husband and the Wife are two Mirrors”. On the other hand, Unit 6 of the Warrior Cube corresponds to the Worldbridger’s energy of death, one that the warrior needs to turn into life. Since the galactic couple separated during 2002 (between Unit 5 and Unit 6 of 16 Warrior Cube), it is understood that Valum Votan fully entered the Telektonon Cube of the Law. Evidently, the sacred mirrors of this marriage were broken in the third dimension as part of the Telektonon’s multidimensional script. Therefore, Telektonon had much more teachings to deliver as a truly living prophecy. In fact, Telektonon tells the story of the separation of Pacal Votan and Bolon Ik, but it also tells about the Lovers’ Reunion to fulfil the Heaven Walk of the same prophecy. In 2011, Warrior Prophet Valum Votan passed away, ascending before he would complete the Cube of the Law. He ascended on Unit 14 of the 16 Unit Warrior Cube (Unit 20 of the Total 28 Units). According to the 16 year Warrior countdown to 2012-2013, apparently he didn’t make it to defeat Babylon inside Telektonon, neither he reunited with Goddess Bolon Ik to celebrate the victory. How would the Votan Twins ascend from the Cube, then? The dimensional shift of 2012-2013 would unfold new layers of the Telektonon revelation that were played in real life by the Messengers of the New Time. The Dreamtime Telektonon is a new blueprint of Telektonon that was unveiled by Kin 34, author Gar Magusa from England. It is a multidimensional revelation of Telektonon that came after the dimensional shift of 2012-2013. It is the result of the fusion of multidimensional matrices that occurred after the public arrival of the 19:19 Crystal Matrix revelation in 2013. In this light, the Dreamtime Telektonon reveals a higher dimensional blueprint of Telektonon, one that was always inscribed in stone by the Realtime Telektonon, which is the origin of the prophecy in Palenque, the dynasty of Pacal Votan. 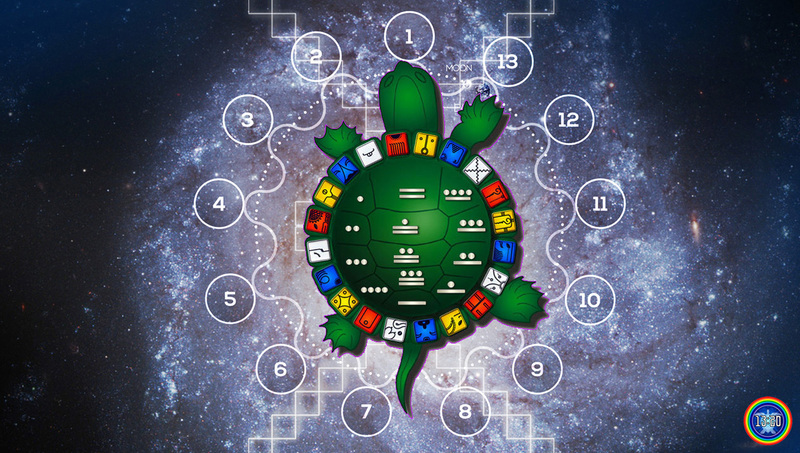 Game of Telektonon: Each Unit = 1 Day of the 28-day cycle of the Thirteen Moon Calendar. Its purpose is the initiation in Natural Time and the practice of Telepathy. 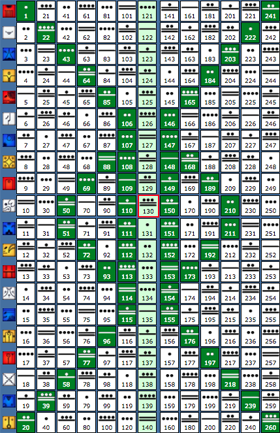 Dreamtime Telektonon: Each Unit = 1 Dreamspell Tzolkin (260 days). It is the path of the Ascended Masters of the New Time, their Earth Walk, their Prophetic Separation, the Lovers’ Reunion and their Heaven Walk. From the other side of the veil, and through the codes that they embodied, they guide the dimensional shift from the fourth dimension (4D) to the fifth dimension (5D) and beyond. 1 Dreamtime Telektonon Unit = 1 Dreamspell Tzolkin (260 Days). The Ascended Masters. 1 Realtime Telektonon Unit = 1 Tzolkin of Haabs. Classic Maya Palenque Time. The Dreamtime Telektonon blueprint was laid by the conscious or the unconscious higher selves of the Ascended Masters of the New Time, the archetypes of Valum Votan and Bolon Ik on behalf of the Mother and Father of the Galactic Maya Cosmology. As we will see through their timelines down below, they played the Dreamtime Telektonon on Earth and their higher selves reunited for the Heaven Walk in 2012-2013. As Ascended Masters of the New Time, they teach the dimensional shift from their sacred place in the 5th Dimension of Prophecy. Valum Votan and Bolon Ik entered their Dreamtime Telektonon and initiated their Earth Walk. Let us remember that in 1997, both messengers were at the peak of their roles as Planetary Pilgrims of the New Time, something that represents the perfect embodiment of the Earth Walk. 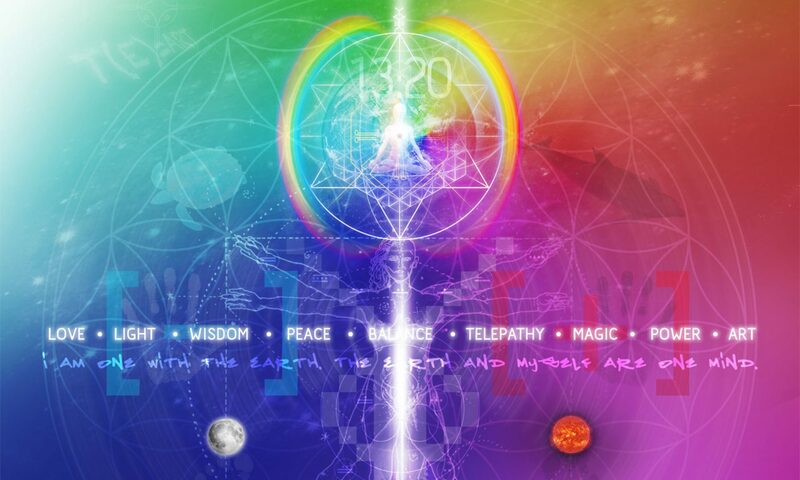 In 1997, they also published the 20 Tablets of the Law of Time: Sixteen Year Telektonon Cube of the Law. They synchronised the 16-year Warrior Cube journey from 1997 until Kin 164 in 2013 (Galactic Seed Synchronisation). Therefore, in the year 1997 they marked the beginning of the 16-year Telektonon but also started the Earth Walk of their DreamTime Telektonon. Also in 1997, they organised the World Congress on the Law of Time and Judgement Day Tribunal in Tokyo, Japan. They also initiated an ongoing movement in Brazil to make July 25th Day Out of Time, the official “Peace and Culture Day”, based on recognition of the Banner of Peace. Therefore, Valum Votan and Bolon Ik inscribed the most perfect Earth Walk that could be imagined within the Dreamtime Telektonon. Valum Votan and Bolon Ik concluded their Earth Walk (6 Tzolkin Units) on Kin 163, Day 260 of Unit 6. On the next day, Kin 164, they launched the 16 Tzolkin countdown to 2012-2013 at the Pyramid of the Sun, Teotihuacan, Mexico. This Ritual had 9 male elders and 9 female elders (18 in total) who blessed the galactic couple to close the cycle and open the new one. Kin 164 (3 March 2002) also marked the beginning of the Dreamtime-Telektonon Cube of Valum, where each unit = 1 Tzolkin of 260 days. Soon after the Teotihuacan Ritual, Valum Votan and Bolon Ik manifested their prophetic separation. Valum Votan embodied the prophetic separation of Pacal Votan and deity Bolon Ik within the Telektonon Game of Prophecy. Valum Votan ascended on 23 March 2011, on Day 185 of Unit 19 of the Telektonon 28 Units. Equivalent to Warrior Cube Unit 13 (Prophecy) of Dreamtime-Telektonon. Or Warrior Cube Unit 14 (Timelessness) of the original 16 Solar Year Count. Valum didn’t make it in the third dimension through the last units of the Warrior Cube. According to Telektonon’s script, the Votan Twins are raised from the Warrior Cube of the Law and reunite with Bolon Ik, the Goddess and Muse of the Galactic Maya Prophecy of Pacal Votan. Through the Telektonon Lovers’ Reunion, the Ascended Masters Valum Votan and Bolon Ik started the Heaven Walk, showing multiple signs through the Divine Synchronic Order, guiding the dimensional shift from the other side of the veil. The Telektonon’s Crystal Prophecy becomes much more evident with the arrival of the 19:19 Crystal Matrix, in perfect sync with Timeship Earth 2013. This unleashed the fusion of multidimensional matrices towards a Unified Prophecy of the New Earth. Valum Votan and Bolon Ik entered Unit 28 of Telektonon, which represents the Tower of Bolon Ik. They entered on Kin 164 on synch with Mayan Tzolkin 1 Etznab, which is the Ascension Code of Pacal Votan (8 Ajaw + 6 Etznab = 1 Etznab). In other words, this synchronicity confirms the perfection of the unfolding prophecy of Pacal Votan. Also, 1 Etznab (Kin 118) is the wavespell that leads the Mystical Column of the Tzolkin Matrix from Kin 121 to Kin 130, the Cosmic Love. One Tzolkin after the last Kin 164, now we can witness the Closing of Unit 28 of Dreamtime Telektonon on Kin 163, Resonant Night (2 November 2017), Mayan Tzolkin = 13 Kab’an (Kin 117), Day of the Dead in Mexico. On the next day is the Opening of a New Dreamtime Telektonon cycle, exactly on Kin 164, Galactic Seed (3 November 2017), Mayan Tzolkin = 1 Etznab (Kin 118). The Infinite Loop of Love starts again on synch with the Ascension Code of Pacal Votan (1 Etznab, Kin 118), the same wavespell that concludes in the centre of the Tzolkin on Kin 130, Cosmic Love. It all confirms the Ascension of the Masters of the New Time Prophecy. On one side, Pacal Votan and Palenque’s deity of Bolon Ik. On the other, Valum Votan and Bolon Ik. Therefore, it is the Galactic Maya Hologram of the whole 2012-2013 phenomenon! The Children of the Dawn and the Children of the Book are the 144,000 witnesses of this most refined Galactic Maya Hologram inscribed by the Galactic Maya Archetypes. 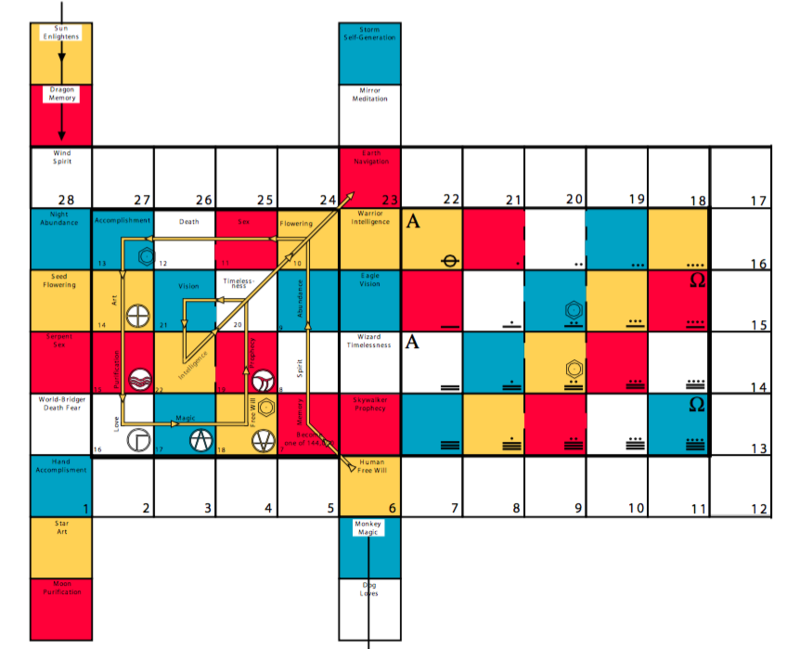 The New Jerusalem is the Palace and Tower of Bolon Ik, the Telektonon Unit 28. It has become evident that within the prophetic realm of Valum Votan and Bolon Ik, every revelation has, in turn, led to another revelation. Their ministry, which lasted 21 perfect years, brought to light the Harmonic Convergence, the Discovery of the Law of Time, the Thirteen Moon Calendar, the Dreamspell and the Telektonon Prophecy. The cornerstones of the Galactic Maya Cosmology. And, in order to transcend the third dimension and guide the dimensional shift after 2012-2013, the masters embodied their Dreamtime Telektonon and inscribed key points within the Divine Synchronic Order. As a mathematical perfection, and as a confirmation of the Telektonon multidimensional blueprint, the Dreamtime Telektonon cycle will be closing on Kin 163. This is, precisely, the Kin that comes before Kin 164, Galactic Seed. It symbolises the new beginning of the Galactic Maya Prophecy. In other words, the masters are completing a 28 count of Dreamspell Tzolkins, or 28 Galactic Spins between Kin 164 in 1997 and Kin 164 in 2017. 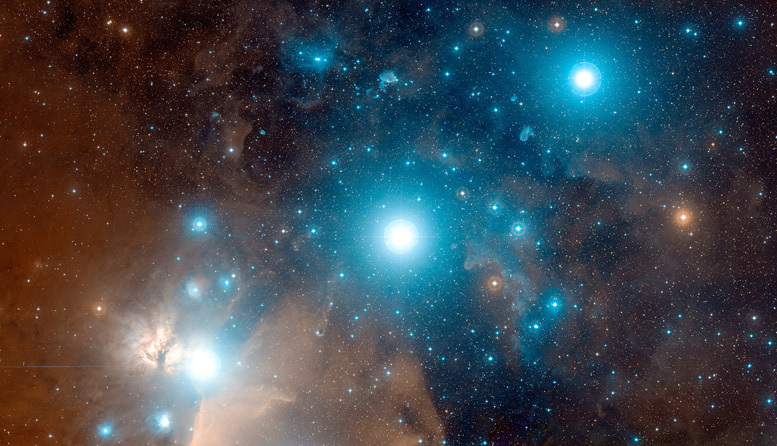 Thus, they have shown that their Telektonon Matrix contains the perfection of their Sacred Walk on Heaven and Earth, confirming the Galactic Source from where they came and where they returned to. It also confirms the Galactic Maya Hologram which is the Telepathic Transmission from the Realtime Telektonon of Pacal Votan to the Dreamtime Telektonon of Valum Votan and Bolon Ik. The Ascended Masters of the New Time laid the path in such a perfect way for us to understand. The unconscious has become conscious! Finally, let us remember that the portals were opened with Galactic Samhain (31 October, Kin 161, Overtone Dragon), followed by All Saints Day in Spain and most of the Latin countries (1 November, Kin 162, Rhythmic Wind). Precisely, Kin 162 is the combined Kin of Valum Votan and Bolon Ik in the Classic Maya Tzolkin (VV Kin 205 + BI Kin 217 = Kin 162!). Now we are ready to witness the closing cycle of the Dreamtime Telektonon (2 November, Kin 163) and the opening of the Infinite Loop of Love of the new Galactic Maya cycle (3 November, Kin 164). All happening under the Wavespell 13 of Earth Mother, which exactly represents the Earth Ascension and the Earth Spirit Speaking Tube! Thus, Wavespell 13 will be closing the 28 Galactic Spins of the Dreamtime Telektonon. 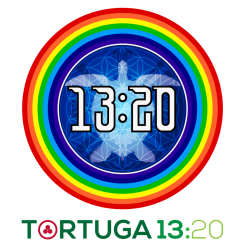 A divine manifestation of the 13:28 frequency of Natural Time! Let us welcome the Galactic Seed Crystallisation of the Timeship Earth! Let us embody the Telektonon Crystal Prophecy. Let us connect with this most beautiful Once in a Lifetime Divine Synchronicity. Let us consciously meditate upon these sacred codes. Let us remember and honour our ancestors of the New Time, the Mother and Father of the Galactic Maya Revelation. Let us be part of the Infinite Loop of Love of the Ascended Masters of the New Time! Reconstructing the Planet Art Legacy. In Loving Memory of Valum Votan and Bolon Ik. —. 1987, The Harmonic Convergence. First Globally Synchronised Meditation. The Visionary 26 Year Countdown to 2012-2013. Worldwide. —. 1990, The Thirteen Moon Calendar. Planet Art Network. —. 1993-1995, Telektonon of Pacal Votan and Telektonon: The Game of Prophecy. —. 1995, World Thirteen Moon Calendar Change Peace Movement Plan. Planet Art Network. —. 1996, The Discovery of the Law of Time. T(E) = Art. Planet Art Network. —. 1996, The Galactic Culture Master Plan, Planet Art Network. —. 1997, The 20 Tablets of the Law of Time: Sixteen Year Telektonon Cube of the Law. Planet Art Network. —. 1999-2000, 28 Meditations on the Law of Time. Planet Art Network. 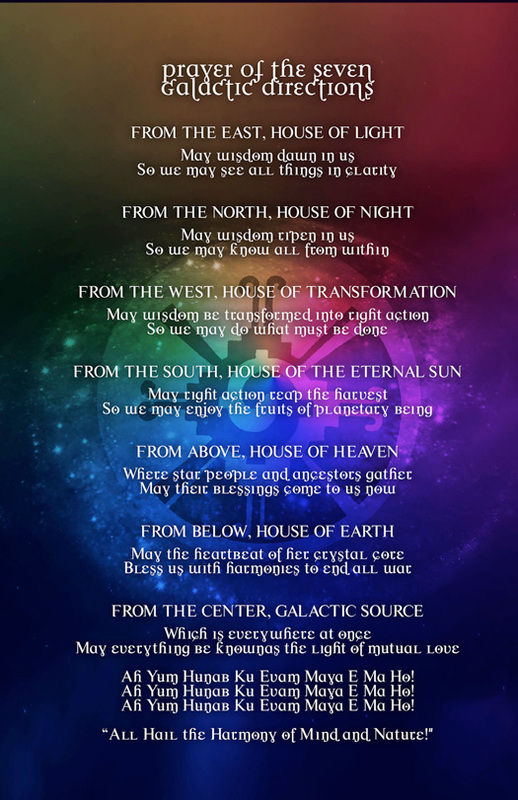 Transcript of teachings prepared and given by Valum Votan and Bolon Ik at the Earth Wizards Seminary (1999, Picarquín, Chile). —. 2017, The Telektonon Trinity: Part 4D, The Realtime Dreamtime Prophecy, WordPress. —. 2017, The Telektonon Trinity: Part 5D, The White Queen, WordPress. —. 2017, The Telektonon Trinity: Part 6D, Transmission 1, A Message from the Apex. (ENG) Galactic Maya Revelation inscribed within the Telektonon Matrix! Thank U for this timely post! Previous PostPrevious Holograma Maya Galáctico: El Telektonon del Tiempo del Sueño de Valum Votan y Bolon Ik. Cristalizando la Semilla Galáctica de la Nave Tiempo Tierra.